How can I become a member if I do not fulfil the requirements for membership? The Club have created a Commitment Card, which allows the holder to apply for full membership after three years. 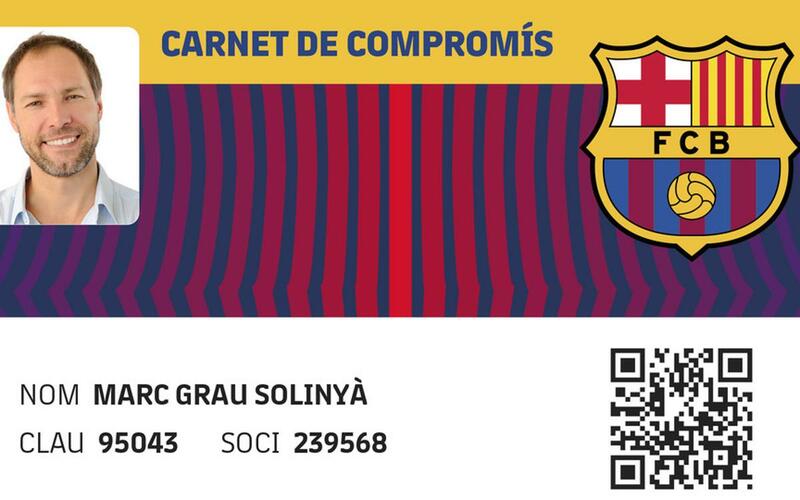 In response to the demand from Barça supporters and fans who wish to become Club members, but who do not meet the requirements currently laid down for membership (being under 15, having a close family member who is a Club member or having been a member in the past for at least two years), the Club have created a Commitment Card, which allows the holder to apply for full membership after three years. What advantages does a card holder have during the three year commitment period? Membership registration fee is €108 from April 1st, and is valid until 31 December 2019. The annual membership fee is €141. When can i become a full member? Every year, the holder of the commitment card must perform the renewal process in person at the OAB (Barcelona Supporters Services Office) between June 1 and October 30. If the holder does not come in person to the OAB to ratify the renewal of the commitment card, he/she will lose their status as the holder of the same. Once you have shown your commitment to the Club for three years, you can make an official application for full Club membership, which the Club will consider in line with general requirements laid down in the Club statutes. Club membership will be granted in the first period of renovation following the completion of the three year period, which normally occurs in December. *In general terms, Commitment Card holders do NOT have the rights for members, which are specifically established in the Club statutes. The first quota is payable in cash or by credit card.